Arabic Calligraphy Services was first established in 1999 as a world leader in the field of Arabic Calligraphy, providing individuals and corporations alike with an artistic, high resolution, relevant and enjoyable Arabic Calligraphy Styles. Their mission is to promote our customers’ awareness for Arabic designs, and to drive their appreciation for cultural diversity through the practice of Arabic calligraphy and Islamic designs. The International Research Centre for Calligraphy (IRCC). 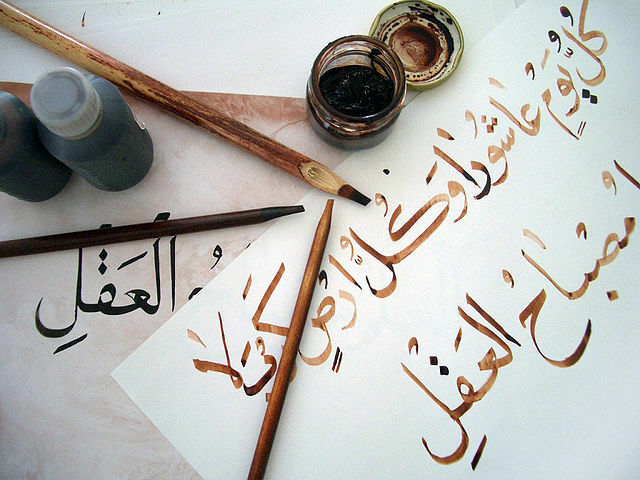 The IRCC is based in the Design Centre at the University of Sunderland, UK and it is dedicated to promote and facilitate the development of calligraphy with national and international contexts. A calligraphy blog by Tommasina Squadrito – a calligraphy of gestures, visions, conditions, writing. Calligrafia in movimenti, condizioni, scritture. Chinese and Japanese calligraphy by Aiko Morita. An illustrated chronology of Chinese calligraphy. Contemporary Museum of Calligraphy, Moscow. Taipei Palace Museum calligraphy collection. A website dedicated to Persian calligraphy. The work of a student of Arabic calligraphy, using bamboo pens (qalams) and brown ink, tracing over the teacher’s work in black ink.